*For information on how we can protect ourselves from this type of radiation, please see links at the end of the article. Currently The National Radiation Protection Board (NRPB) produce guidelines (set in 1993) which provide us with supposedly safe levels of radiation - levels, however, which are considerably higher than other countries where research into this subject has led to a number of scientists and scientific bodies significantly reducing their exposure levels. The magnitude of the gulf in thinking between the NRPB and other scientific bodies/governments is alarming. It is difficult to imagine how the NRPB can continue to maintain that an investigative exposure level of 10000mW/cm2 (100W/m2) is safe when in 1995 the New Zealand Environment Court (as the Planning Tribunal) in the case of MacIntyre vs. BellSouth set a level of 2mW/cm2 as a precautionary approach - a level 5000 times less than that set by the NRPB! I understand that Council’s, when faced with these planning applications, are in a difficult position, between a rock and a hard place so to speak, but they may be leaving themselves wide-open to litigation in the future. However, over 50% of councils in Scotland are now operating precautionary policies to prevent masts from being sited near schools, hospitals and residential areas. In Australia many councils have introduced policies on the siting of mobile phone masts, designed to provide some protection for the public by avoiding sensitive areas. The New South Wales Minister for Education in 1997, stated “The Department of School Education objects to installation of mobile phone towers near schools, and that normally means within a radius of 500 metres. This objection is based on a policy of prudent avoidance”. Since children spend more time at home than at school, it follows that this same prudent avoidance should apply to residential areas. 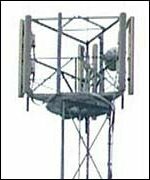 Evidence has started to emerge suggesting there could be some very serious health implications, most notably an increased incidence of cancer for people working or residing in the vicinity of mobile phone base station transmitter masts. In other countries, most notably the US, Australia and New Zealand, the governments have all taken this issue sufficiently seriously, at both national and local level, to adopt the precautionary principle and introduce policies of prudent avoidance which have effectively banned the erection of these masts from school buildings and residential areas and in other densely populated locations. A symposium in Vienna attended by many of the world’s foremost independent scientists looking into the mobile phone health debate, signed a resolution in January 1999, to the effect that biological effects caused by low level exposure to radio wave/microwave EMR, particularly those emitted by mobile phones and their base transmitting stations were now contrary to the views expressed by government protection bodies such as the UK’s National Radiological Protection Board (NRPB). Scientifically established, the Group (of scientists), which included the likes of Carl Blackman of the USA’s Environment Protection Agency, voted overwhelmingly in favour of the above resolution. The Human Body contains electrolytes and ions, which are positively or negatively charged. The water molecule is a polar molecule - it has positive and negative charges separated by a dipole length. A water molecule has a positive and negative pole and is therefore, an electric dipole. As we are made up of approximately 65-70% water, electrolytes and ions, it follows that the human body has its own weak electromagnetic field and each of our cells has its own EM Field too. Basic science shows us this is so. It follows that strong and even weak Electromagnetic Fields emitted from any electrical or electronic equipment will interact with and affect the human body’s own weak electromagnetic fields, and, therefore, interfere with the body’s natural healing processes. From my Document on the Dangers of EMF’s (see our web site www.equilibrauk.com ) we can see it has been established that biological systems have the property of storing electromagnetic oscillations [information] and incorrect oscillations can also occur [i.e. not endogenous - not originating within the body], or be introduced through the environment, which stubbornly remain in the organism and lead to incorrect regulation (more info on this later) - which we know from biochemistry can lead to illness and disease. In other words it establishes that our health depends on balance being maintained in our cell’s electromagnetic field, that our cells store information in the form of electromagnetic oscillations (information within our DNA for e.g. is ‘electronically’ stored in this way) and information from incorrect or non endogenous oscillations (not of the body - EMF’s/ELF’s being typical examples) can be stored within our cells energy fields leading to disturbance, disorder and incoherence (loss of equilibrium - balance) which can lead to genetic damage, damage to our DNA, illness and disease. In other words, our own electromagnetic frequencies essential to our health, the repair, reproduction and replication of DNA can be altered by storing, or ‘taking on board’ information (oscillations) from other outside sources of energy such as electromagnetic and electrical radiation. The affects upon our health by exposure to EMF Radiation, looking from a biochemical view point, would appear to show ill health is caused by the displacement of electrolytes/ions within the body and by interfering with the body’s natural way of communicating (neurological system) and maintaining homeostasis - balance. This will weaken the defense mechanism of the body as the body expends energy attempting to redress this imbalance. If we cannot get away from these EMF fields because we live within their field of influence, the body will be unable to correct this electrical and biochemical imbalance and, as the science of Biophysics has proven that we only become ill when the defense mechanism of the body is weakened, it follows that we will undoubtedly become ill as a direct result of living or working within these EMR fields. So it is not a question of whether these EMF fields cause health problems or not, that is not in doubt. What is uncertain is just how this ill-health will manifest in an individual; this is determined by the individual’s own constitution and health and may manifest in many ways, which is why we are seeing so many ‘new’ immune deficient disorders today. What is certain, through even the most basic understanding of physics is that EMF’s do weaken our energy fields and this will lead to some form of illness and disease in humans. Children, in particular, with their developing immune systems and ill or sick people are more prone to the effects of EM Radiation, and are, therefore, at risk the most. “I am now convinced that EMF’s pose a health hazard. There is statistical association between magnetic fields and cancer that goes beyond the shadow of reasonable doubt. I think there is clear evidence that exposure to EMF’s increases the risk of cancer. This is most clear with leukaemia and brain tumours, but in residential studies statistical significance increased for all kinds of cancers. And we are just beginning to have a whole body of evidence that reproductive cancers are increased by exposure”. Dr David Carpenter, Dean of the State of New York School of Public Health. “…Sweden has concluded that EMF’s do lead to higher rates of cancer…I, frankly was somewhat impressed by the arguments made by the Swedes.” President (ex) Bill Clinton. In the USA, President Clinton issued a formal memorandum in 1995, stating that Transmitter Masts should not be sited on schools or near residential areas. It is also interesting to note, that both Lloyds underwriters and leading insurance groups have refused to offer ‘Product Liability Cover’ to mobile phone manufacturer’s for damage to users health, and that on the basis of today’s present knowledge alone, it must be expected that an EMF Claim would succeed. In this regard, corporate providers should guard against complacency in relying on present day government advice to protect themselves against any future potential liabilities. The experience of the Asbestos Industry is a sobering reminder of this. Litigation cases are increasing in the USA against mobile phone companies and by giving approval for the construction of a mobile phone tower (Mast), property owners, land owners or councils may be risking litigation in the event that radio frequency radiation is later proven under British Law to cause health problems. This will be proven and has already been substantially proven in other countries to date. It is just a matter of time before it happens in the UK. In addition to information on the dangers of mobile phone masts that I have already outlined, I would like to highlight to an even greater degree the very real dangers posed to the human organism from these man-made frequencies we call microwaves. The following information comes from the science of biophysics and is quite basic in its nature and available to anyone who cares to look. In understanding the following it is important to realise that the human body is primarily and almost totally an energy system first and a biological/biochemical one second. All life is composed of the building blocks of life - the atom, and an atom is comprised of 99.999% space or energy, hence we humans are 99.999% energy too, only it appears to our limited five physical senses that we are wholly physical or biological in origin, which is of course incorrect and grossly inaccurate. Our DNA is composed of light and emits photons - particles of light - or electromagnetic waves that we can measure today. Our cells have their own Electromagnetic field too, as does the human body, and these energies are often referred to as the Biophysical field or Auric field, and these energy fields can also be measured and today, even photographed. It is through the interaction of energy fields that all living things, humans included, share and store information both beneficial and detrimental to the physical body. It has been established through numerous scientific experiments that all living things are constantly sharing information and interacting with each other and that certain man-made electromagnetic frequencies can have a detrimental effect on the health and growth of living organisms. In effect the human organism is composed of a multitude of electromagnetic waves. The Human organism has a broad spectrum from below 10 to over 1015 Hertz. The science of biophysics has established that all life is firmly imprinted with the stamp of the environment: “The body is thus firmly integrated into our environment, is in constant exchange with it and is controlled by it, i.e. all our various biorhythms, our organ and metabolic functions (normally) run synchronously with the ‘pulse rhythm’ of the universe. If this coordination is disturbed, disease and possibly death occur.” Control pulses come firstly from what are referred to as Schumann waves, arising in the ionosphere with a frequency of 7.83Hz that corresponds precisely with the frequency of the hippocampus in the brain of all mammals. The hippocampus in humans is responsible for our memory and survival among other factors. Our nervous system also responds to the electromagnetic pulses of the Schumann waves. These induce miniature potentials in the nerve loops, which on repetition add up to action potentials and can actively intervene in cybernetic control circuits of the body. The autonomic nervous system is autonomic but adapted to the environment and resonates with it. It becomes very clear that we are an electrical or energy system and depend on and interact with balanced and natural energies around us for our health, wellbeing and survival. The importance of this and the importance of the Earth’s Schumann waves, as an example, are evidenced by the fact that NASA builds Schumann wave generators into its manned space flights to keep their astronauts physiologically and psychologically healthy. However, these Schumann waves can be interfered with or altered in towns and cities and even the countryside by technical interference frequencies from all forms of radio and other communication transmitters, railway networks and high-tension power lines et al. There is another signal spectrum that we humans integrate with and this is known as the electron plasma waves of trace elements and crystals in the lithosphere. Although these electromagnetic radiations are far weaker in intensity, they are in precise resonance with the organism, in which the same trace elements also occur, particularly in the blood. These too can be interfered with by communications transmitters. In disease, which is a disturbance or interference in the ‘energy field’, the body “…is forced to produce the mirror-image counter oscillations of the interference field at the same time, by neutralising them… It succeeds in doing this with the corresponding expenditure of energy. We also refer to ‘holding work’, which it must perform, because it has to constantly expend energy in order to neutralise these constantly recurring oscillations from the interference field. If the organism is weakened…it can no longer perform the holding work and is no longer able to neutralise the pathological oscillation. ” This is the onset of illness and disease as we know it biologically. Professor Smith of Salford University in England discovered that “favourable information is absorbed [by the body] very quickly. Whereas unfavourable information” - such as chaotic EMF’s, microwaves and radio waves - “is blocked for some time, i.e. for ten to fifteen seconds, and may only cause damage after a longer (chronic) period of exposure.” We obviously have sufficient external pathogenic factors over which we primarily do not have any influence. Amongst these contaminants such as heavy metals, we have radioactivity and microwave pollution. The body does not become ill because it has been infected but because the defence system - the energy field - has become weakened. Professor Popp discovered that the cells of living organisms store and emit light (photons) and this light controls vital processes. If this mechanism does not function correctly, the organism is diseased. It has been established that there is a constant equilibrium between photons and the growth of a cell association and if the EM field of the cell is disturbed its coherence (balance) is affected too and if this coherence is disturbed, all the functions, including immune defence, are blocked; but above all - and this is the most important thing - the repair capacity of the cell, the ability to restore order to genetic damage is blocked. From this point of view the concept of disease should be reconsidered: disease, before it is manifested in physical symptoms, is manifested as a disturbance in or to the electromagnetic field. “Light or energy within the cells of living organisms regulates cell growth, ensures the exchange of information mutually between the cells…disease occurs through a disturbance of the electromagnetic field in the cell: it becomes disordered and incoherent. Every kind of frequency combination, which is not in order, produces disease. From the point of view of disease, the disturbance of biochemical sequences in biological systems can be regarded as a disturbance to the order of electromagnetic oscillations in the body, triggered by exogenous and endogenous influences. Many years of solid research have proven that this is so.” These research results run ‘counter to the widespread belief that biochemical processes are causal.’ This is not so. Information or messages reach the human organism and the reception of this information is relayed via nerves and protein chains of the tissue, and they trigger a chain of reactions. The organism is thus controlled or disturbed by a wide variety of factors from outside. They act on an energy flow and thus change or maintain the states of equilibrium in the organism. The closer to the source of these man-made frequencies one is, the more devastating the effect they can have upon our energy fields and our defence mechanism. We may well ask the question: how can our very weak electromagnetic fields possibly cope with the constant onslaught of these much stronger and more powerful and, therefore, potentially overriding man-made frequencies? In short, our bodies are a mine of information stored electronically in the form of oscillations or frequencies of energy and if these energy stores are coherent i.e. the information stored is natural and balanced, then we have good physical health. Our physical health is a direct result of the condition of our energy fields that feed and sustain our physical body. It is apparent from the science of biophysics and the understanding that we humans are an open ‘radio system’ made up of varying electromagnetic frequencies that we naturally interact with all external energies, natural and man-made, and these energies do play a large part in our health and wellbeing. When we interact with natural and balanced energies, such as Earth energies like Schumann waves, we are reinforcing the natural balance within our own energy system, our cells and our DNA. However, it is very apparent that when we are subjected to man-made unnatural and chaotic frequencies, such as microwaves, then our body can and does store this unbalanced information in its energy fields which can lead to a weakening of our defence mechanism and ultimately illness and disease as our cells begin to reproduce in the likeness of the unbalanced information it has taken on board. This is a result of the body expending too much energy - more than it is capable of producing - whilst attempting to restore balance to energy fields that have been compromised by EMF pollution, ultimately leading to a breakdown in homeostasis. Depending upon where there may already be a weakness in an individual’s energy structure, may well determine where the effects of this type of EMF Radiation will first manifest as a physical problem. This is what makes the etiological study of the effects of EMF’s on the biological system so difficult and so controversial at times. As you can no doubt appreciate, the biological, biochemical condition of the body is a result of ‘information’ given or broadcast in the form of EM frequencies or waves and the information stored as oscillations in our DNA, cells etc. If this information is altered in anyway by outside influences, then this imbalance in the energy store of the body will begin to manifest as an illness or a disease as our cells begin to replicate in an unhealthy way. If the body is constantly being subjected to EM stress from these Masts, especially at night time, the body cannot repair itself adequately as it is constantly expending energy elsewhere trying to deal with these unbalanced microwaves and the body gradually becomes depleted of excess energy and its energy stores are reduced, weakening the defence mechanism of the body. Additionally, as we know stress also suppresses the immune system, which further interferes with our natural ability to restore homeostasis. The science of biophysics has established that we are not designed to become ill. We only become ill when the defence mechanism of the body is weakened and living in close proximity to mobile phone masts (or electricity pylons) gradually weakens the body’s defence mechanism leading to illness and disease. Naturally the military and the intelligence agencies are well aware of the effects radio and microwaves can have upon living organisms. Allegedly, they have been experimenting with them since the 1950’s at least, and microwaves, we are led to believe from some sources, form an integral part of their ‘psychotronic warfare’ or ‘non-lethal’ weaponry. I realise that current permitted development rights and the fact that we must move with the times, means that these masts must be sited somewhere. All I would ask is that due consideration is given to the future health and well-being of ourselves and the generations to come, and that as a result, some compromise can be found, whereby these masts can be situated a minimum of one kilometre from any residential, school or public area. Surely it would be feasible, in many cases, to ensure that the siting of these masts and, therefore, their emissions, impinge as little as is possible on the surrounding environment, residential and public areas in particular. The personal use of mobile phones themselves can then be a matter for each individuals conscience, without the added risks of a permanent structure which would otherwise deny us that freedom of choice and, therefore, deny us our divine right to enjoy and maintain good health. This would also obviate the need for litigation cases in the future. Given this new information, authorities or individuals who grant permission for the siting of these Masts near to residential areas, would be deliberately subjecting people to energies which are known to cause disturbances in human energy fields and could, therefore, over time lead to illness and disease. This would mean anybody responsible for granting permission for these Masts to be erected near residential housing and public places, would be guilty of depriving people of their natural right to maintain, restore and enjoy good physical health. As we are witnessing in other parts of the world, litigation cases are increasing exponentially in the war against these phone masts and it is only a matter of time before lawyers and barristers in the UK join this ‘money train’. An article from the Daily Mail detailed the number of cancer clusters around mobile phone masts, and this cannot be a coincidence, as the authorities would like us to believe. It is difficult to imagine how the NRPB can continue to maintain that an investigative exposure level of 10000mW/cm2 (100W/m2) is safe when in 1995 the New Zealand Environment Court (as the Planning Tribunal) in the case of MacIntyre vs. BellSouth set a level of 2mW/cm2 as a precautionary approach - a level 5000 times less than that set by the NRPB! Just what are the authorities willingly subjecting people to, and just how much damage to health has been caused to date, and will continue to be caused in the future if common sense does not prevail over greed and profit? These authorities cannot be allowed to continue to use human beings as guinea pigs. The information presented in this brief article may be something new to people, and if it is, I trust you will look into the matter further and demand the updating of the NRPB’s antiquated guidelines in accordance and in line with other more open minded countries. Hopefully, in time, we may eventually remove this very real threat posed to our health and wellbeing from this radiation, through the ridiculous siting of Masts so close to residential and public places, and the potentially high emission levels presently allowed. This will offer our children and our grand children a better and healthier future too. However, Microwave Radiation is not restricted to Mobile Phones, their Transmission Towers and microwave ovens. No, Cordless telephones too, emit this dangerous microwave radiation, especially the new era of Digital Cordless Telephones (DECT), whose base/charging units are constantly emitting microwave radiation into our homes and workplace, even when the phone is not in use. This is like having a mobile phone mast installed inside your house, constantly emitting microwave radiation into your immediate environment. In this respect, this represents an even greater threat to your health and wellbeing than that posed by the occasional use of a mobile phone. People naturally spend more time using this type of phone than they do a mobile phone - not because of any perceived health risk - but simply because the telephone charges are much less expensive, so we and our children spend more time 'on air' so to speak, and as a result, we are being slowly and consistently microwaved towards ill health and the possibility of premature death. Yet nobody is warning us about the potential dangers of using Digital Cordless Telephones. Analogue Cordless Telephones are not as safe as we are led to believe either, though they are not as potentially dangerous as their digital equivalent. However, whilst the base unit/charger on analogue cordless phones does not appear to emit detectable microwave radiation when the phone is not in use, both the handset and the base unit DO emit detectable high levels of microwave radiation when making or receiving calls. It is interesting here to point out that microwave ovens operate at 915MHz and 2450MHz (0.915GHz - 2.45GHz), mobile phones at: GSM/analogue at 900MHz (0.9GHz) and Digital (GSM/PCN/DECT) at 1800MHz (1.8GHz), with the new G3 'next generation' mobile phones assigned to operate at 2200MHz (2.2GHz). It is not difficult to see and appreciate that the same frequencies (and higher than those) used to cook our food and boil our water are being used in this mobile phone technology. A technology that is held directly against our head (the brain is composed of 90% water), placed on our rooftops, in our gardens, by our schools etc. What is even more alarming is that this new era of Digital Cordless Telephones (DECT) operate at a frequency range of around 1880MHz to 1900MHz (1.88GHz - 1.9GHz), slightly above the frequencies used by mobile phones, and, therefore, when used, are potentially more dangerous to our health. Especially if they are constantly emitting microwave radiation into our homes and workplace even when the phones are not in use. We achieve nothing in life if we sit back and expect others to do the work for us, or hope the problem will simply go away. We should all remember that the people in authority we are so in awe of, or fearful of, are simply in office because we put them there. Their job is to serve the public and work on behalf of the wishes of the public at large. It is up to us - the public - to ensure that they act in our interests and the interests and health of our children, not to pay homage to the moneymen and become a slave and a clone to capitalism and imperialism. It is time for the public to have its say, and the louder the better. See also Demand Switches for protection from electrical and electromagnetic radiation especially while we sleep. 1. Brugemann, Hans: Bioresonance and Multiresonance Therapy, Haug International, 1993. 2. McTaggart, Lynne: The Field, HarperCollinsPublishers, 2001. 3. Ash, David: The New Science of The Spirit, The College of Psychic Studies, London, 1995. 4. Coats, Callum: Living Energies (The Work of Viktor Schauberger), Gateway Books, Bath, 1996. 5. Coats, Callum: The Water Wizard (Translation of Viktor Schauberger's work), Gateway Books, Bath, 1998. 6. Schiff, Michel: The Memory of Water, Thorson's, 1995. 9. Campaign For Planning Sanity, Telecommunications Act 1984. Please note that all these web links were active at the time of research but may have changed over time. Please look around our website for protection against, and monitoring of, EMF’s and Microwave Radiation. See www.equilibrauk.com "Screening Materials" for more details and for information on our unique Universal Harmonisers.